« Best Gaming PC Build Under $500 Dollars, This PC Will OWN in 2019! Surfing the web for the best gaming PC build for $1,500? Well look no further because this is a legendary setup and your money is very well invested with this specific build. With a $1,500 budget you’ll be able to add a solid state drive as well as a 1TB hard drive. This will allow you to be able to run your operating system at full speed while still having the capacity of the 1TB hard drive to store your game library, movies, music and photos. If you’re looking to max every single game out there for years to come then this is the build for you. The processor with this build is super powered and will be able to do much more than just be able to process video games. This combined with one of the best graphics card out there makes this build one of the best. If you’ve never built a computer before and you feel intimidated by it then I just have to say one thing. Don’t be. Building a computer from scratch is a lot easier than most people would think and there are plenty of tutorials out there that can show you step by step. This specific build is actually going to be very easy to build because you’ll have a lot of space in the case to work with and the motherboard is pretty big so you’ll have a ton of room to make sure everything is nicely done. The tutorial that I think best shows how to build a computer step by step is the video series by Newegg. They do an excellent job showing even the complete newbie to build a computer. I have inserted the video below if you’d like to see it! That video should help shed some light on building a computer from complete scratch. When I built my very first gaming PC I went through this video step by step before I had all of my parts in the mail and during the actual process of building it. If you do each step that is shown in the video at the same time as actually building your computer then it’ll be a lot easier than trying to just review the video beforehand and trying to memorize each step. With that, let’s get to the actual build. * = Optional part. Read below for details. Anything you throw at this build is going to run phenomenally. Virtual reality will be experienced to its fullest with this build and you’re going to be future-proof for a very long time as far as recommended specs for the latest games go. A note about the pricing, feel free to change the power supply and/or other hardware to compensate for the final price. The market for PC hardware is at a weird spot right now, this list may not equal out exactly to $1,500 but it’s the best choices for this price range. You can ask away in the comments for other recommendations if there is a part you want to change out. The Apevia-X Hermes case is a great case. Very big and open area to work inside of and comes with many features as well. Super easy to work with hard drives, seamlessly swap out drives easier than how most other cases would work. Comes with a large fan on the side so air cooling won’t be an issue at all, especially combining that with the liquid cooler that you’ll be using with the CPU. Gaming and/or planning on heavy processing work? The i7-9700k still makes the most sense when it comes to power per dollar spent. 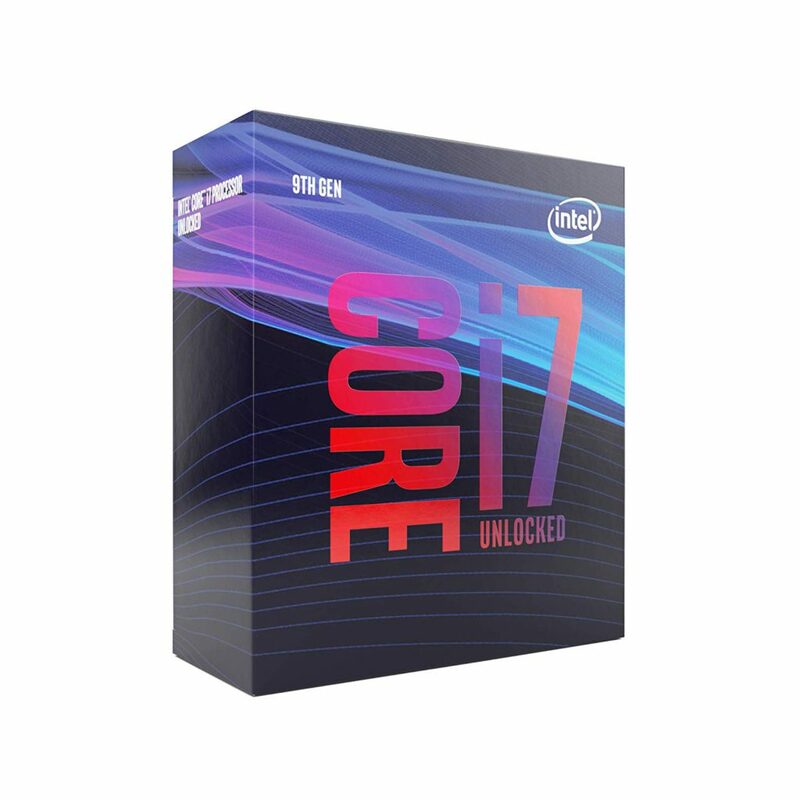 Having an Intel Core i7-9700k is going to put you in awe once you experience its true processing power. This processor is able to do A LOT more than just process game worlds. You’ll also be able to use any graphics program and you’ll also be able to design your own high-end video games on this machine if you really desired to do so. Anything outside of the realm of PC gaming is definitely doable with this build, it’s beast! Keep in mind that the CPU, unlike most other Intel CPUs, will not come with a stock CPU cooler. That’s why I’ve also included an aftermarket cooler to go with. You’ll also be able to overclock a good bit with it making the 9700k even that much better. You also need to know, since it’s an aftermarket cooler, that you will also need some higher quality thermal paste to go with it. The cooler comes with paste and if you want to trust it then go ahead – but I suggest getting some that is higher quality. If you’ve got VR gaming in mind then this build will definitely be what you’ll need for the far future. VR takes a lot of processing power but that worry can disappear when you have the 9700k included in your arsenal of hardware within. The future of VR is very bright so it makes complete sense to have a build that is more than capable. A RTX 2070 is the most ideal card for a $1,500 budget range build. It matches up to the processing power of the i7-9700k – a perfect match. The Gigabyte RTX 2070 video card is an amazing card. It’s the newest tech from Nvidia as far as video cards are concerned and based on overall performance, they live up to the hype. They’ll be even more exciting once the new RTX technology develops further into upcoming titles throughout 2019-2020 especially. But with a card like this, you should be planning on playing at higher resolutions or with a 144hz display since this card is completely capable of it. There is an insane amount of power behind this card and trust me when I say you’re not going to be disappointed by going with this card for your $1,500 build. Even though pricing for the GPU/RAM is at a weird point right now… We’re finally at a point where it makes sense to include a RTX 2070 video card at this budget point and it feels great being able to include it! Previously we were using a GTX 1070 Ti which is still another amazing card but if we can have a higher level of performance for around the same price point then why not do so? Although it’s not the perfect price point, a bit off from what was announced, it’s simply what we have to pay right now. There isn’t much going on with this level of performance as far as something even newer on the horizon but I’m sure as time continues to go on, the prices will continue to drop there. Even with the 2070 added into the mix for the 2019 update we can still fit a solid state drive into the build list but it’s entirely up to you whether or not to add one in. As for peripherals and what not that you should consider, you’re going to have different options that are recommended compared to other builds since the power here can handle a higher resolution monitor. 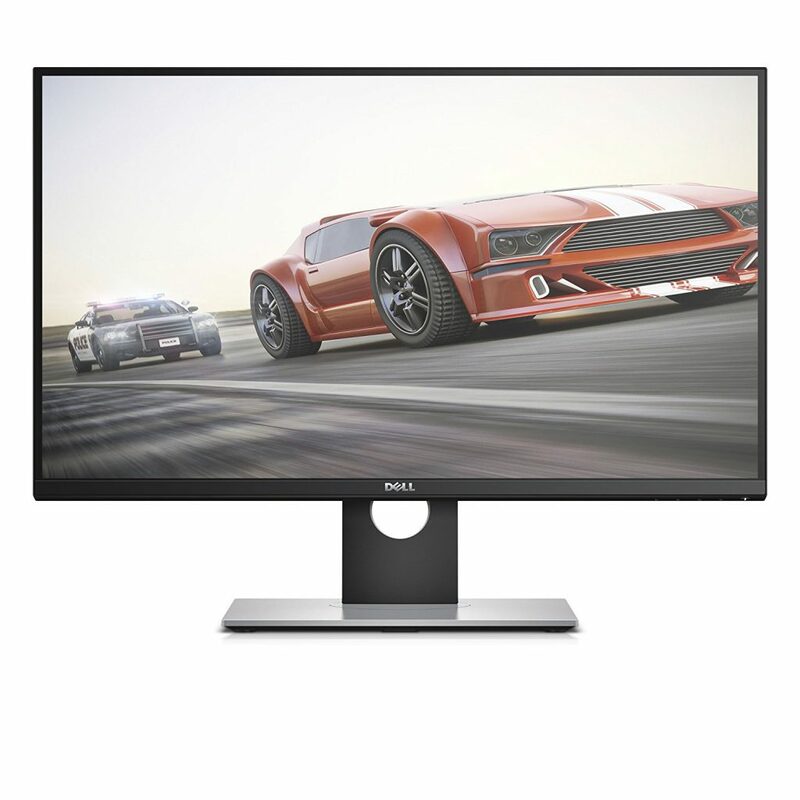 It’s not entirely new, released a few years ago, but if you’re looking for an optimal 1440p gaming monitor then you should definitely check out this Dell monitor review. If you’re doing other tasks such as photo/video editing and wanting to have that very perfect level of color then you’ll want to look at other options but when it comes to gaming specifically, this monitor is a steal. You’ll learn most about it within the review but the only downfall to it is that the color gets a little off when viewing the monitor at an angle. Other than that it is buttery smooth for gameplay and is at the 1440p resolution. For a keyboard and mouse you’ll want to go with ones that aren’t really cheap if you’re wanting to have an equal amount of performance to go with a higher resolution monitor. I’d suggest checking out these reviews. 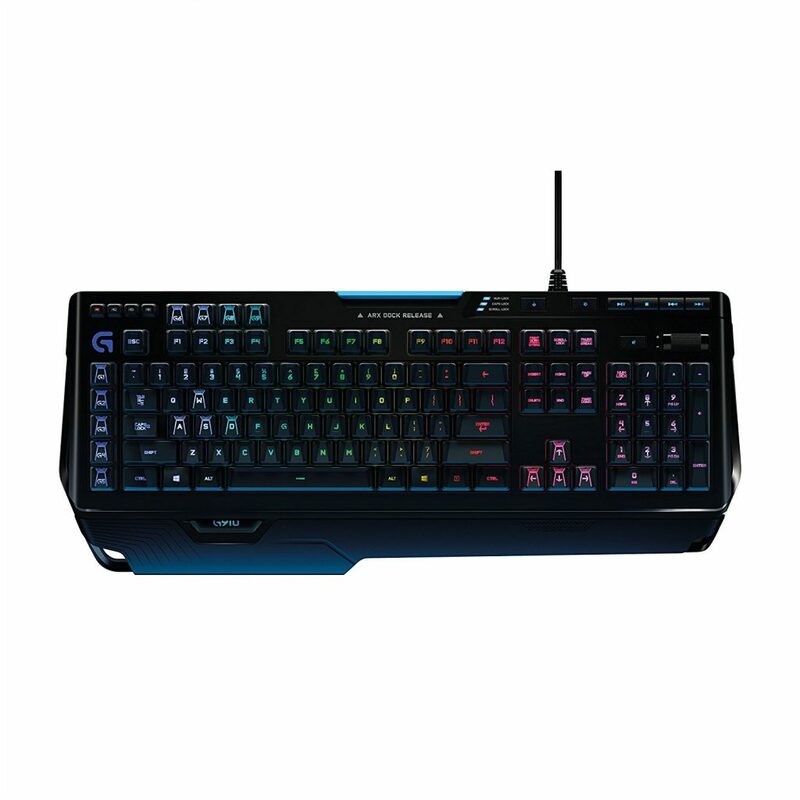 I’m currently using this keyboard and mouse and they’re easily the best peripherals that I’ve ever used. The G910 keyboard is a bit of a stretch when it comes to the price of other keyboards and if you don’t want to spend that much, don’t. It has a plethora of features and I can tell that it’s going to last for the long haul, it’ll most likely be the last keyboard I ever use on a main build. Keyboards aren’t nearly as important as the mouse so if you don’t want to be fancy here then keep in mind it’s not essential, just a nice touch. 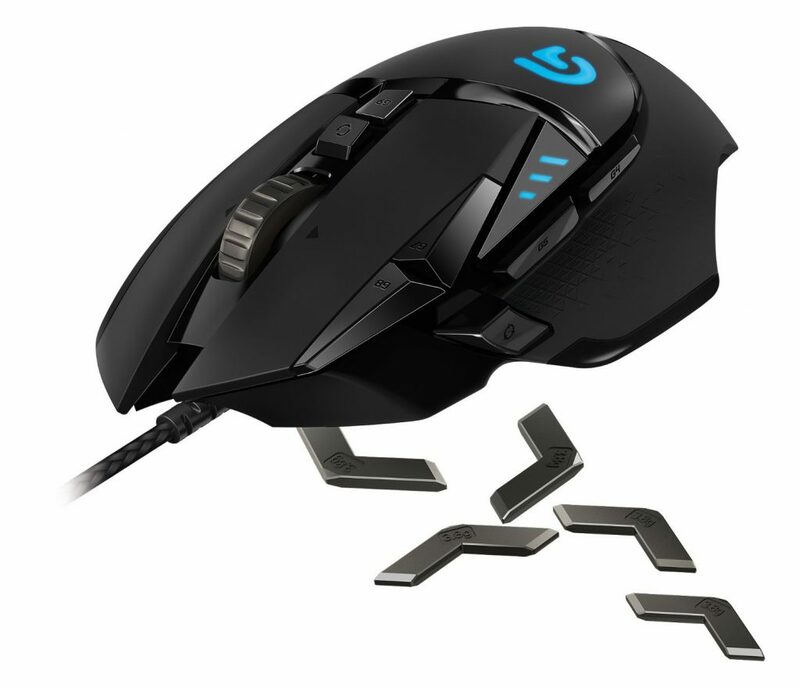 As for the mouse, you’ll need something that’s going to handle 1440p and the cheaper mice just aren’t going to be able to do that. You can have whatever DPI setting you want with this mouse as well as being able to customize a lot with it so I’d definitely recommend picking it up if you’re using a higher resolution monitor. You can just use Ubuntu until you have the cash for Windows or you might just end up sticking with the Linux based operating system because once you get used to it it’s hard to go back to Windows! 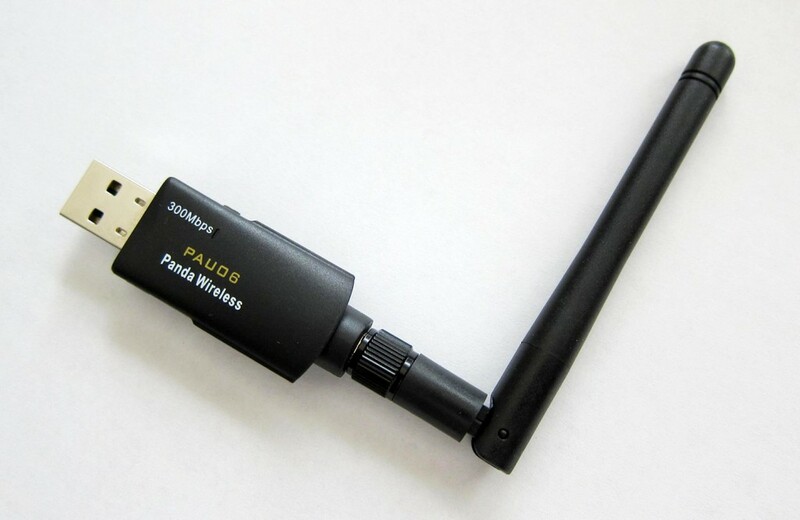 Also, as far as internet connection is concerned, you should take a look at the Panda network adapter below. It keeps a pretty solid wireless network and you simply plug it into any USB port on the PC! Unless you’re able to go with a direct connection with an ethernet cord – you’re going to need some sort of a wireless adapter to connect to the internet. All in all if you’re looking at getting a build together that’s going to give you the absolute motherload of experiences in what PC gaming can provide then this is definitely the build for you. So what do you guys think of this build? Are you going to be putting this build together for yourself? Tagged 1500 dollar gaming computer, 1500 dollar gaming pc build, expensive build, gaming pc build for 1500, legendary gaming pc build. Bookmark the permalink. Hi, Does the build above allow 4k graphics? Thank you! For sure! All titles would be playable at 4K. If I get the MSI Pro Series Intel Z270 DDR4 HDMI USB 3 SLI ATX Motherboard (Z270 SLI PLUS). All I need would be the 4 rams, and two video cards? When I looked up some of the pc cases online, I stumbled across a lot of reviews that detailed about problems with the component parts fitting into the case. And that some of the people who had the case had to redo some of the things. Would there be any tips to help prevent that? With these parts specifically, you won’t see any issues. Taking a look at all of the overall dimensions, there shouldn’t be any problems. Though if you’d like a different case go ahead and check out some of the other mid tower cases on Amazon and if you find one that you like you can link it to me in a new comment and I can let you know if it’d work or not! Yup, there is plenty of room with that case. You’d be good to go. Always here if you need more help with your build! Hi Colton! Could you tell me if you like this build with these components? That’s one beast build… Everything looks compatible to me, everything should work together. What are your plans with the build? Surely it isn’t jus for gaming? No, not just for gaming. Programming(in future), streaming, etc. More monitors as well. Makes perfect sense then. If you were only gaming then I would have tried to have you stray away from that level of power! It’ll definitely be worth it in the end when using it for processor heavy tasks. Hi, Above says something about a liquid cooler. So that means I would have to purchases radiators, tubes, custom water loops, etc.? Nope! All of that will come with the liquid cooler pre-installed with it. You’d only need all of that if you decided to go with custom water cooling. Started buying parts for this build 2 months ago. Finally completed it today and loving it so far. Thanks for the build man! Glad that you’re digging it Cody, feel free to check back here and there to see what’s up! Also do other reviews on games and what not and it’d be cool to hear from ya down the road. For the Corsair Hydro H115i , it would be considered a sealed liquid cooler? Would I be better of with a custom cooling or the pre-installed Corsair Hydro H115i cooler? Yes it is a sealed cooler. If you want to go custom cooling you could, it’s a lot more expensive and you’ll have to switch out the water every 6 or so months. Custom tubing is cool, but I personally don’t think it’s worth the hassle. With a pre-sealed cooler like this one you won’t have to switch out the water at all. Would fit in a Thermaltake Core P5 Black Edition ATX Open Frame Panoramic Viewing Tt LCS Certified Gaming Computer Case CA-1E7-00M1WN-00? You’re referring to this exact case then, right? Most, yes. The liquid cooler would not be compatible, you’d need to go with something else. And depending on the length of the video card some drive bays might be blocked off but you should be able to fit everything you’re going for. Do you know any liquid cooler for that would be compatible similarly to the corsair hydro H115i that would be able to fit in the Thermaltake Core P5 Black Edition ATX Open Frame Panoramic Viewing Tt LCS Certified Gaming Computer Case CA-1E7-00M1WN-00? No, a liquid cooler needs a place to mount the radiator and that case doesn’t have any pre-installed loop coolers that would be compatible. Maybe a custom cooling setup but that’s costly and not really in my realm, can’t help much there. You could go with an air cooler like the Dark Rock Pro 3 if you wanted something that’s higher quality! Just got my first job out of college and I’ve always wanted to build a PC for gaming, but I’ve been somewhat nervous about the idea. My question is: if I have a 4K 120hz tv, would I be able to use that basically as a monitor? Not sure if that’s a dumb question but if I could run on it that, i thought it’d look good. With a build like this yes, you’d be able to do that. It’s able to be at 120hz at 4K? That’s an awesome TV! Granted that you’re right about those specs, it sounds perfect for a build like this. Let me know if I can help more as you’re moving forward with your build, I’m all ears. Sure, you could also use the i7-7700 if you didn’t plan on overclocking or anything like this. With that in mind, I’d also switch over to this motherboard from MSI since that CPU wouldn’t be able to use the overclocking features of the above board. Note: The “Processor Only” option actually does comes with a stock Intel cooler. The other options are upsells. Let me know if I can help more man! I’m a little unfamiliar with rams but the one specified above says it’s intended for ryzen builds. Just wanted to check and see if that will fit the build or if there was an error going on there? RAM compatibility is predicated on the motherboard being compatible with the type of RAM, in this case DDR4 RAM. It’s compatible, I think that they have “For AMD Ryzen” in the title for marketing purposes. Let me know if I can help more as you’re moving forward with your build! So I am new into PC gaming and I was wondering how efficient this build would be using 4k gaming. In other words, what would the average fps be running this build on 4k and would it be able to run max settings on games in 4k as well? It depends on the game. Some games aren’t well optimized while others are very well optimized. For the most part, an 8GB GTX 1080 is going to be able to run games at 4K/max settings with above 40+ FPS. Some games more, some games less. I’d also take a look at benchmarks on YouTube for specific games that you’re interested. Always here for more feedback as you move forward with your build! I am an upcoming game designer in university that also uses VR. I want to make a PC that would be able to run everything from both playing to creating. I don’t exactly know where to start. I always had laptops but this would be my first desktop since about 6th grade. I would like some advice on what to get. A setup like this would definitely get the job done but you might also want to take a look at Ryzen CPUs. Maybe venture into YouTube and compare performance overall with the programs you plan to use? Then you can always check back here and if you need help to be put in the right direction then I’m here! I bring up Ryzen because when it comes to overall content creation and rendering that’s the better choice. Will this specific build work if I am using an MSI GTX 1060 graphics and a 650W EVGA power supply? Turns out I ordered the wrong power supply on Cyber Monday and I would like to know if it will affect anything. Sure, yeah you’ll still be good to go man. Thanks man I appreciate it! I was really bugging out! It happens man, no problem! Hello colton, I’m having a massive issue with the case that you recommended and I’m panicking hard with the build. The video card slots of this case doesn’t have any included screws and the video card doesn’t reach the screw slots. Moreover, the monitor I bought only showed no signal when I tried to boot the pc, and I noticed that the blue cable included with the monitor doesn’t match the socket on the motherboard. Finally the motherboard back panel plate doesn’t fit the sockets snug into place when I attached the motherboard to the tower and the USB at the top portion is not aligned to the tower. Please help, I’m freaking out since this is my first build..
You sound like me and my first build man… I rushed through everything and got pretty frustrated. Don’t let yourself get worked up, you can figure this out! The screws came with something, either the case has the screws or they’re packed away somewhere and you’re not seeing them. Otherwise there isn’t one special type of screw for the video card, as long as it fits it’ll work for using it. Try out the different sizes. You won’t be using the motherboard for visuals, that’s the video card’s job. So you’ll need to be sure to have the video card mounted onto the motherboard correctly and use it. When it’s plugged in it completely overrides the motherboard. Yes… The back panel definitely fits. You just need to take your time and push it in. Are you following the above video as a guide? I made a huge mistake of not cleaning the nozzle of the thermal paste and it dripped into the green part and a little bit underneath onto the motherboard. *tried to fix this by cleaning it out, got most of it off but I didn’t dare take the gpu off. the case I bought didn’t have any video card screws included and my video card can’t reach the screw slot unless you force it there. the monitor I bought is this http://amzn.to/2BL8YJy But the blue cable included had a different type of slot than the one intended for the monitor itself, I connected an hdmi cable however. I also use the same monitor with my ps4. You could take the GPU out carefully to ensure you’ve cleaned it well enough, definitely not good to have the paste on the board itself but if it was only a little bit and it’s coming off easy then you should be fine. Are you sure? Because I never hear about someone not having the video card screws included… If that’s the case then this kit should have 6/32 type screws which should so the trick. And right, you wouldn’t want to use VGA anyway. It’s an old output. So HDMI is the best you’ll do! Just remember that you need the video cable plugged into the monitor from the video card as it overrides the motherboard. hello do you have any recommendations on a cheap monitor that would work well with this build, thanks! Depends on what resolution you’re trying to game at and what is “cheap” to you. If you’re going with a build with this much power then it doesn’t make much sense to go with a 1080p monitor since this build would be total overkill for 1080p. I’d suggest the above monitor that is listed but if you’re just wanting something to start out with for now then this monitor from Asus is a great monitor for 1080p. 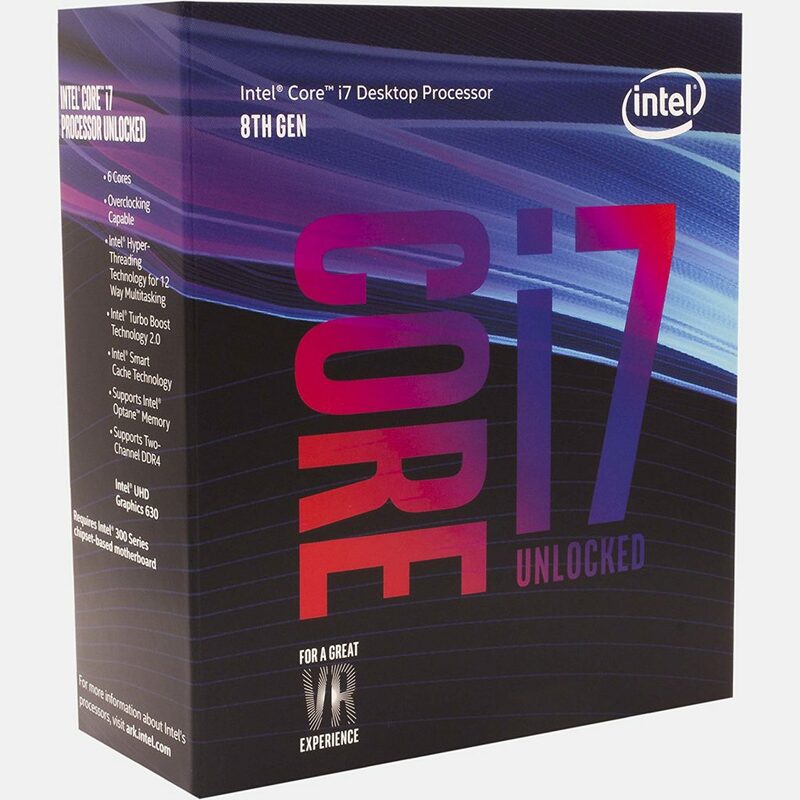 Hey Colton, can I switch the i7-7700K out for a i5-8600K? Sure, but you need to use a Z370 board in order to use the 8600k. I’d suggest this one from Asus if you wanted to go that route! Hey Colton, I am currently using an Acer Aspire and I use it for gaming. I would like to know if this build is a good upgrade. This would be an extreme upgrade from that laptop man, even something cheaper would provide a much smoother experience overall. Much newer hardware in comparison. Is there any alternative for the graphics card, I mean a GPU other than the Gigabyte GTX 1080 G1 Gaming. I ask this because right now they are out of stock and in some places are way overpriced ($800). Still don’t have any other alternative other than getting a cheaper graphics card for now and upgrading whenever the prices of the video cards go down… the market is at a crazy state right now. So many years ago in preparation for Skyrim I built a beast of a machine. Then, over this past Summer, I got a free upgrade to Win10, and that somehow killed my machine. Couldn’t run any games any more, and if I did it was a mess, everything was slow/hitchy/and just felt like a slide show, and so I went through the process of switching out parts, which left me to the point of saying it’s either the Processor or the Mobo. The computer works fine, with simple things like internet browsing and some streaming like Netflix, but that can get a bit choppy some times…. In any case, I’m wanting to build a new rig, and as much as I would wish to transfer some of the parts, the only thing I think I will be transferring would be the power supply and putting an older one in my current pc and use that for a secondary working computer. Also, I always was a big fan of ASUS boards, but I was just curious was the reason to go with the MSI board purely on price? And if so, what would be a good/compatible MOBO from ASUS? Also, with the 1080 Graphic Card, do you think there might be a better card with a 1070? 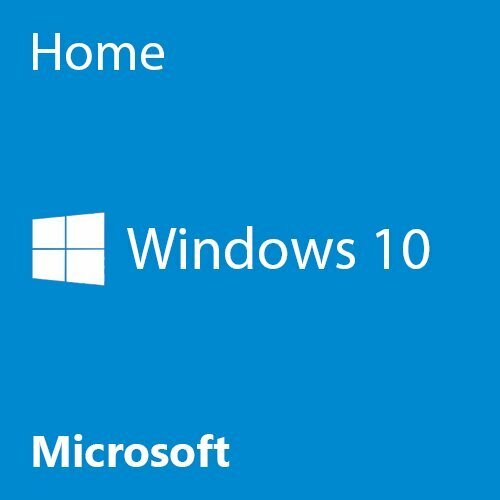 Yeah there was a large percentage of people that upgraded to Windows 10 that had problems right out of the gate… For most, updates for the OS fixed a lot of issues but I remember that there were a few where the problems persisted even with the updates… I’m sure today everything has been fixed though. You’ll be fine with that power supply for sure. I’ve used MSI boards a lot in the past and they’ve always been good for me, though I’ve also used a lot of Asus boards with no problems at all so I completely understand why you’d also be interested in using an Asus board. MSI usually has a lower price point with good performance hence why I recommend it at times. Depends on the markets. I’d look into this one from Asus if you’re wanting something that is still compatible with this build, it’s packed with awesome features. A 1070 isn’t as good as a 1080, though I’d understand going for a 1070 due to current pricing. A 1070 would still be a pretty decent card even with 1440p in mind, I currently have a 1070 and it’s perfect for VR and high frame rates. Thanks for the response, Colton! 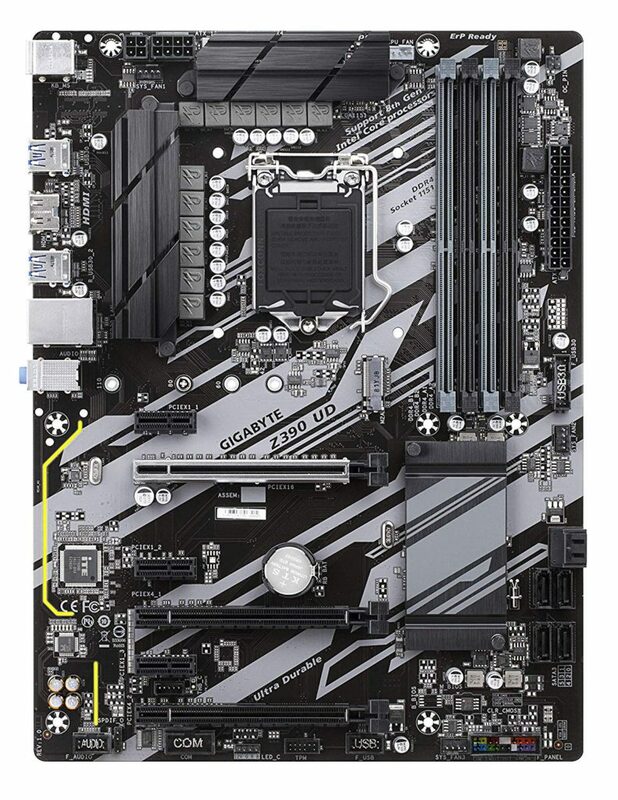 I like the Asus board you linked, but I was curious, what was your thought on that board compared to the Gigabyte GA-Z270X-Ultra Gaming LGA 1151 Intel 2-Way SLI ATX DDR4 Motherboard? I’d go for the Asus one on interface and features alone. I haven’t had any issues with the Gigabyte board and it has a bunch of setting to mess around with. The lighting with the Asus board I’m sure is better than the Gigabyte one. Let me know what you decide to go with! Hey Colton, I got inspired by ur build and decided to change some things up. Anything I should change? Seems like you’re set and ready to go Ash, let us know how it goes! Will this work, and fit, in this build? Yes, either one of those cards would work. Everyone is having a hard time finding anything that makes sense price wise, you’re not alone. it says its a mini gtx 1070 can i use this instead? Sure, I’m only sharing the mini because it is a better price for similar levels of performance. Soooooo, EVGA had a quick restock on their EVGA GeForce GTX 1080 08G-P4-6583-KR SC2. I picked it up (w00t!). Now that I finally have the card ordered I can start building the new PC! 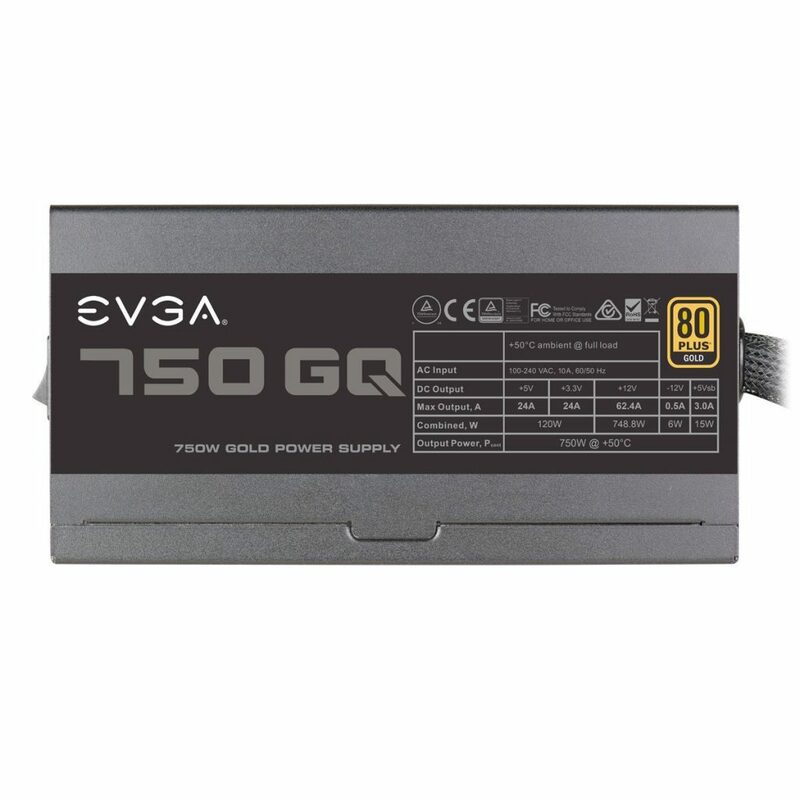 I already have the power supply (EVGA SuperNOVA 750 G2, 80+ GOLD 750W). So my question is, how does the rest of this setup sound and does it look to be compatible, or do you have a different suggestion (Also, it looked like Amazon had the best price on all these parts as well). Looks like you’re all set and ready to go except for using a CPU cooler! Since you plan on using a 7700k you’ll need an aftermarket cooler since it doesn’t come with a stock cooler. I’d recommend going with the Corsair H60 or the Corsair H100i v2 depending on how much you’re able to move around with your budget. Either cooler will work great, if you plan on doing any heavy overclocking with the CPU then the H100i is a must. What SSD card is in this build? I see no specific one listed, it doesn’t seem to be listed with the links for the parts. That’s because there isn’t one included in the list, Wilson. I’d recommend any of these from SanDisk if you wanted to add in a SSD. The reason why there isn’t one listed currently is because with this price range I’d rather be certain to use a GTX 1070 in the list. By adding in a SSD, the price would be too high to be around the ~$1500 mark even though it’s a bit past that anyway with it not included. The Processor I was going to pick up was a bundled one with the Corsair H100i v2. It seemed to be a better price bundled on Amazon. Also, I’m always adverse to dust and I try to understand the positive airflow thing to make sure dust is limited. I guess it truly can’t be negated (can it?) but with the current build I stated in my last post, do you see any issue or potential problem with airflow in the case or with the standard stock fans it comes equipped with? If you found a decent deal using that cooler then I don’t see why you wouldn’t want to go for it! Just to be sure, you plan on using this exact case then, right? If so then no, you won’t have any problems with airflow and what not. There isn’t any real way to fully get rid of dust build up over time, but the fact that the case comes with removable dust filters… that’ll help more than you’d think! Be sure to clean it out more often than not and you won’t run into any issues. So apparently NewEgg has a deal going on RAM. Would it be better to get the G.Skill on Newegg? The deal ends on Thursday, and for $15 extra dollars to have a full CAS Latency of 15-16-16-35 instead of 16-16-16, is that worth it? Or should I possibly go with another option like the G.SKILL Ripjaws V Series 16GB (2 x 8GB) 288-Pin DDR4 SDRAM DDR4 2400 (PC4 19200) Intel Z170 Platform / Intel X99 Platform Desktop Memory Model F4-2400C15D-16GVR for $172 on Newegg? (It’s cheaper than Amazon, and includes free shipping too). 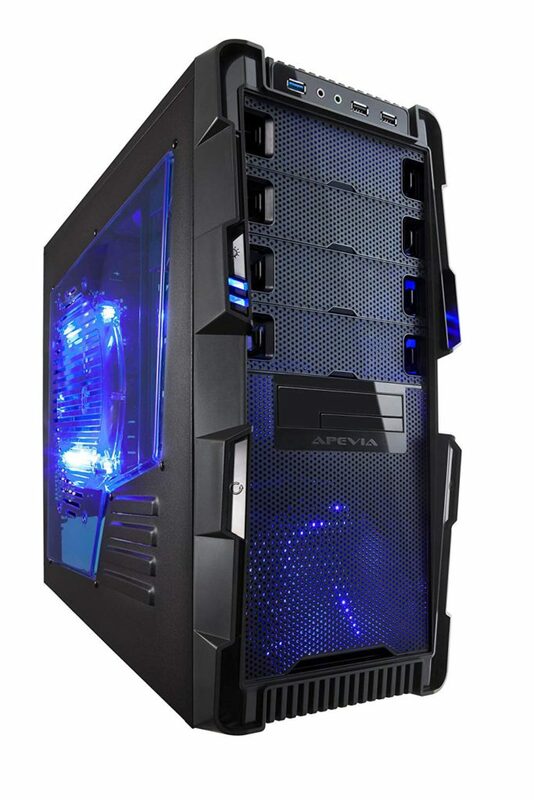 Newegg had another deal same Ripjaw Memory, but in Blue for $164!!! I can’t seem to find any difference, so it seems like this would be the best option to buy since it’s much cheaper than all the other options. Not a bad deal at all, I’d say that’s your kit to go with! The difference would be 1-2 frames, 45 seconds faster on an hour long rendering project etc. Up to you if it’s worth that tradeoff with the RAM and the difference in latency. The last memory you mentioned would be compatible and seems to be the cheapest for a couple of dollars less! would this graphics be compatible with this build? Are you referring to this exact video card then? If so then yes, you’d be able to use it! I am not that good with pc or computers and don’t know what most of the parts are but what kinda things would I need for mine craft and fortnite. And I need something for recording. 🙂 Thanks in advance. Minecraft and Fortnite are both extremely well optimized games so it comes down to how well you want the quality to be while you’re recording since really any PC here $600 and above is going to run them well. I’d say if you spend around $800 or more you’ll have a pretty decent recording experience. Also depends on what you’re using to record. Can I go to a 1080 gpu instead and keep everything the same? Would it affect the performance? Is there a case that is just as good, but different? It’s not really my type and I’m worried about compatibility. For sure you could! Though depending on what type of case you’re wanting, it may or may not fit. Odds are, any mid tower case you find is going to be able to fit all of the above hardware. I recommend checking out the mid tower cases over on Amazon and if you find one that you think you’d like to use, link it to me in a new comment and I’ll be able to take a look and see if it’s compatible or not with the parts you want to use? my budget is about the same. but it is flexible. i don’t want to go above $2000 but I’m ready to spend at least $1500. i haven’t made any purchases yet, but my mind is on the i5 8th gen cpu with a 1080 geforce. i feel like the i7 might be wasted on me. only wanting to use this for gaming. i would like to play on the highest settings while keeping at least 60 fps at all times. I’m wanting to be ready for whatever bethesda throws out next in their elder scroll series. like skyrim or even the fallout series. i have a nice MacBook pro that can be used for everything else i need to do including lesser demanding games. id like your input about my selection as well as some recommendations for almost all the core components. at least the cpu, gpu, mobo, and power supply. I’m going to use the ssd for hard drive space if i can get away with it. since i don’t plan to store media on this build. I’m new to all this. I’ve spent all of yesterday and today reading and watching. soo many brands to choose from and small differences in numbers or letters that seem to matter much more than i realize. thanks for anything you can help me with. and also thanks for the above advice already given! Awesome – so you’d want to use the i5-8600k then, right? If you wanted to then I’d suggest using this motherboard from MSI combined with it for compatibility. You’ll also still be able to overclock it which will come in handy whenever you decide that it’s necessary to OC it. For the GPU I’d suggest going with this GTX 1080 from Gigabyte mostly because of the price point that it’s currently at. Compared to all of the other models of the 1080 that is on the market, it’s definitely not a bad choice at all. Really high level of performance. 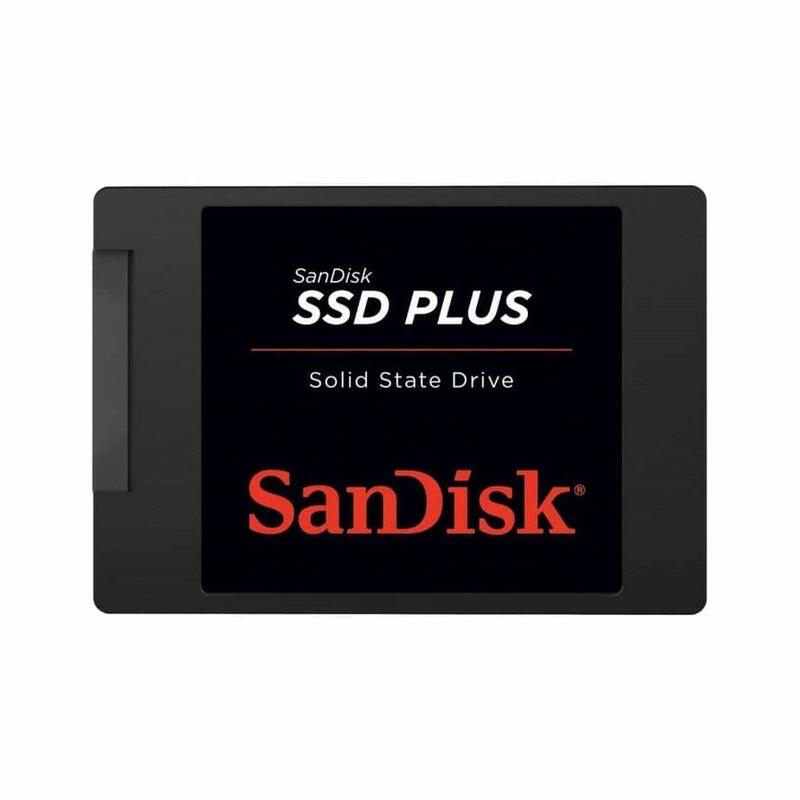 With those changes you still have some room for the SSD and I’d recommend any of these from SanDisk since they’re available for a decent price and they’ve always been a nice choice for a SSD. Always here for whatever else as you move forward with your build man, let me know if I can help more! Thank you. Well I’ve already ordered my stuff and got it in. Currently trying to put it all together. I actually got that exact graphics card for the same reasons. I got a Samsung SSD. My MOBO is ASRock Z370 Killer SLI/ac. Hopefully that’ll be good enough. I honestly didn’t know if you would respond so I jumped the gun. Is there a very detailed video for the wiring/cables. Doing process of elimination and looking at other videos. Were you able to get it completed? Enjoying it? The specs are very high-end! As for videos, the above one is getting a bit old but most of the steps are the exact same. The only difference is if you have a different cooler really but the paper instructions should be easy enough to follow with whatever you ended up getting. Let me know! A bit cheaper but is there anything you recommend thats a 16gb and is pretty good? How bout a hard drive. 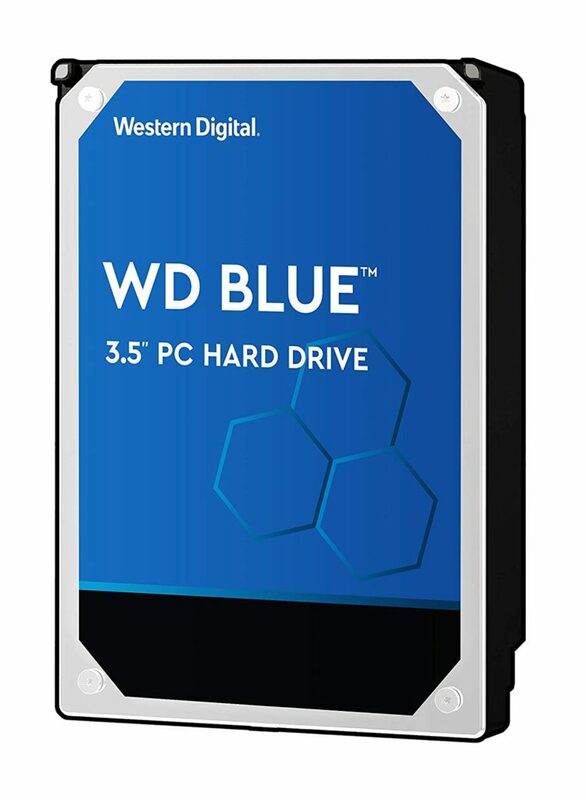 Is there one with better build quality cause i’ve been reading reviews and alot of them are 1 star..
I’d also recommend hard drives from Western Digital since they also have a great rep overall. Bad drives do sometimes happen to be shipped out. If that were to happen it’s a simple replacement through Amazon’s support. To be honest with you, games like Fortnite or Siege… This PC will be overkill for unless you planned on playing at a higher resolution. You’d get 60+ FPS at all times with Fortnite/Siege and other games like them at 1080p. At 1440p you’ll see some FPS drops at maximum settings I’m sure but nothing crazy. 4K is possible if you wanted to play at 30ish FPS avg. 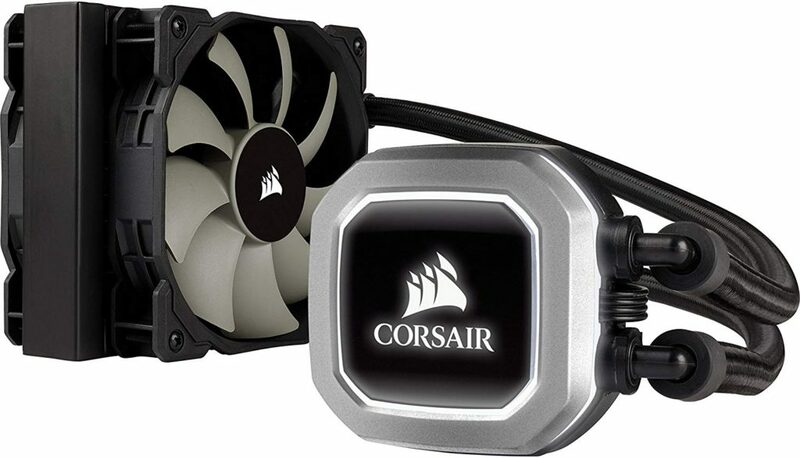 I mean the Corsair H60 listed above is a great cooler, it’ll be able to handle some overclocking as well if need be. Many cases will work, I’d suggest taking a look at all of the different mid tower cases on Amazon and if you find one that you think you’d like to use you can link it to me here in a new comment and I can let you know if it’d work or not? Especially since it’s a mid-tower, it’s a very high premium price point. If that’s the kind of style and quality you’re looking to have then that’s what you’ll need to pay but there are plenty of other cheaper mid tower cases that do just fine as far as compatibility and what not is concerned. Would any of thes mid towers have issues with figment? Based on dimensions, every case should be able to fit everything listed above. Though if you plan on using a CD drive, only the FSP CMT120 case or the Fractal Design Focus case would be able to be compatible. This is because the other case choices do not include a drive slot for a CD drive, though you’d also be able to use an external CD drive if it was necessary for you. Whats the max ram for this build? The maximum amount of supported memory with the board would be up to 64GB of RAM. Always here for whatever else! Hey I’m back so I have a question on the Liquid Cooling can I use this heat sink instead? I don’t think that the above case would have enough room for the EVO. But there are plenty of other cases you could choose from as well if you really wanted to use that cooler. And how bout this motherboard will it work with everything? For sure, you’d be good to go using that board as well. Hey I’m back with another few questions I have a question about a case, motherboard and a heat sink. That case would work great except you should keep in mind that you won’t be able to use a traditional CD drive with it and since the video card is pretty long, there might be a couple of drive bays that are blocked. 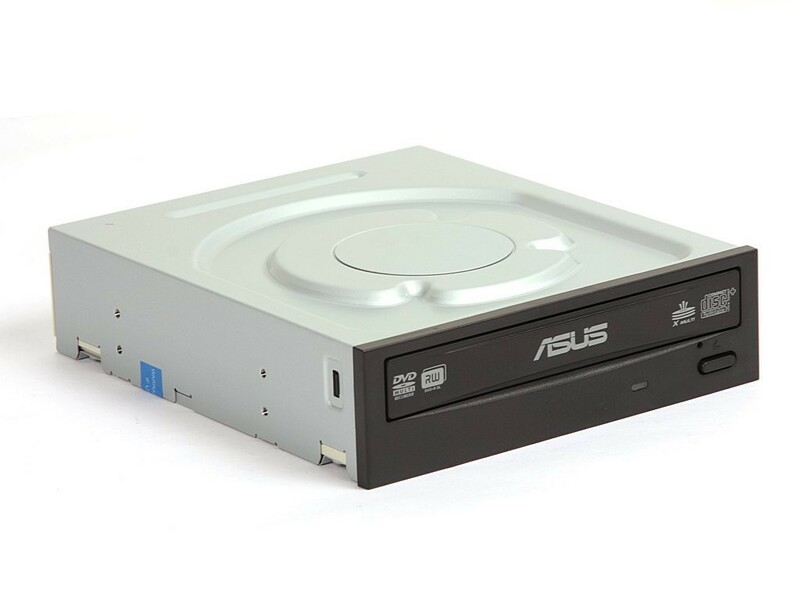 If you know what you’re doing when it comes to booting Windows from a USB or are happy using an external CD drive as well as knowing you aren’t going to be using a bunch of different drives then that case would work well! Also, for the RAM, are you referring to this exact stick by chance? It’d be an awesome choice right now for the price! Is there an NZXT case you can recommend and a good gaming wireless wifi adapter you can recommend too? Also if there is any screwdriver set or kit you can recommend. Thank you! For a NZXT case I’d looking into the NZXT H500 mid tower case but keep in mind that you won’t be able to use a CD drive with that case since there isn’t a bay for it. That’s fine as long as you know what you’re doing when it comes to installing your operating system via USB instead of using a disc.